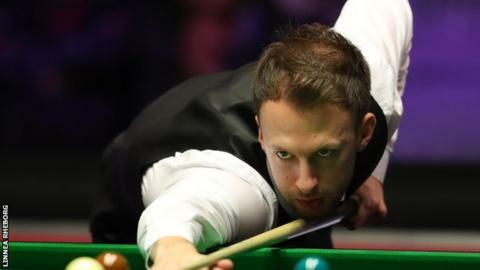 Masters champion Judd Trump reached the quarter-finals of the World Grand Prix at Cheltenham Racecourse with a 4-2 win over fellow Englishman Tom Ford. Trump capitalised on some errors from Ford and sealed victory with a break of 100, his 54th century of the season. China’s 18-year-old Yuan Sijun, who beat Mark Williams in round one, saw off Stephen Maguire 4-2. Earlier, four-time world champion John Higgins lost 4-2 against world number 32 Noppon Saengkham of Thailand. Saengkham came from 2-1 down and faces Mark Selby in the last 16 after the world number one beat Shaun Murphy 4-1. The winner of that match will play Trump in the last eight. Yuan, the world number 67, will line up against compatriot Xiao Guodong, while Barry Hawkins is also through to the quarter-finals after defeating Ronnie O’Sullivan’s conqueror Marco Fu 4-1. Hawkins faces the winner of the last 16 match between world number eight Kyren Wilson, winner of last week’s German Masters, and Stuart Bingham. Wilson rallied from 3-0 down for a 4-3 victory over Matthew Stevens of Wales, ranked 42, who left the final black agonisingly in the jaws of the corner pocket.